Use the Bodygroup Changer STOOL to change the body and skingroups. 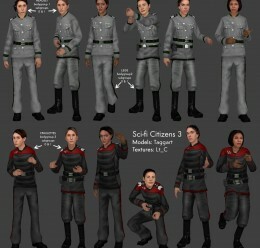 Generic Sci-Fi Citizens, males 1-9 with security variants, females 1-5. 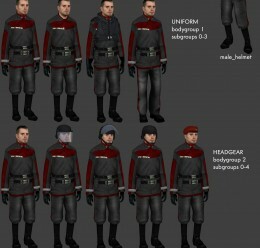 Now includes grey/green and dark grey/red color schemes. 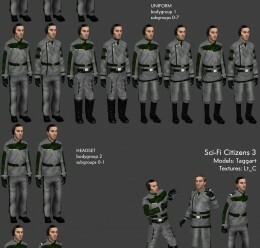 Original set are in the "scifi" folder, new new ones are in "scifi2"
Also included are the helmets as separate props. It only took us a year to finish it. 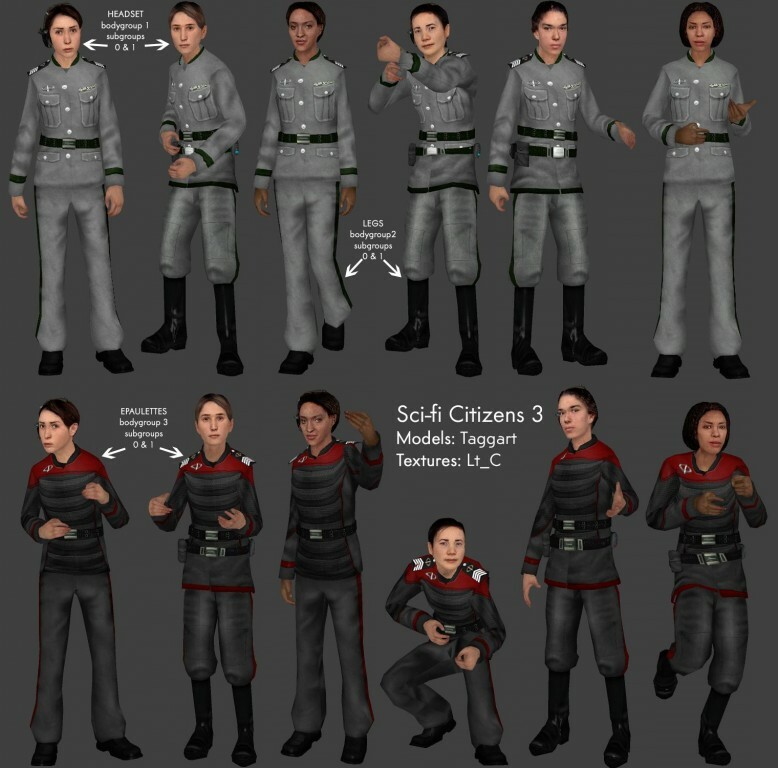 This project has steadily increased in size since then, with some new features being made in December 09, and others made minutes before the release. It slowly became more and more ambitious, and there has been a wide variety of bugs and errors that have held us back, but if there hadn't been the delays, this pack wouldn't be as big as it is now. 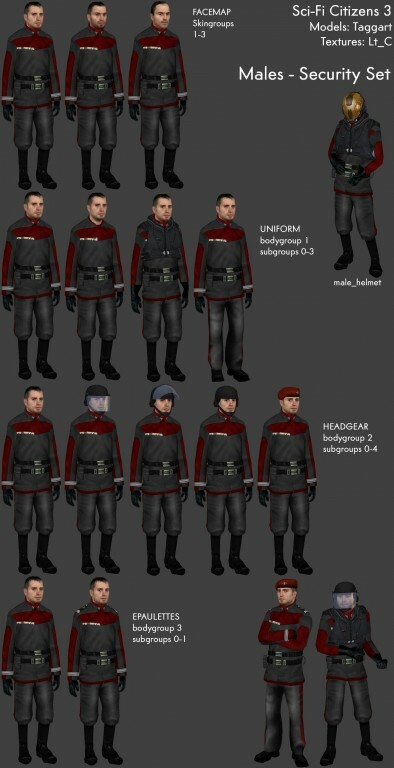 "SciFi Uniforms" in "C:\Program Files\Steam\steamapps\**REDACTED**\garrysmod\garrysmod\addons"
From there, use the ingame menus to find the models in gmod. skin and models, so long as some form of credit is granted. 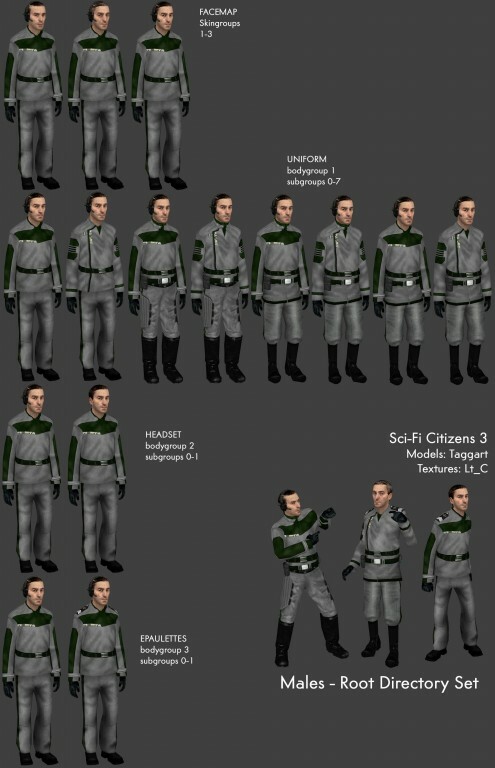 SciFi Uniforms <-- Addon folder!